Sadio Mane is now the joint top-scorer for Liverpool alongside Mo Salah with 17 goals. Liverpool's Sadio Mane scored his side's opener in a sublime fashion in their Premier League fixture against Fulham, making it his 11th goals in the last 11 games for the club, as Jurgen Klopp's men won the match 2-1. With his strike, which resulted from a quick one-two with striker Roberto Firmino, he became the top-scoring Senegalese player in the history of the competition in a single season with 17 goals to his name this campaign. Mane has now scored 40 goals in the league for the Reds, becoming only the second African player to do so for the club, following the lead of his strike partner Mo Salah, who achieved the feat earlier this season. 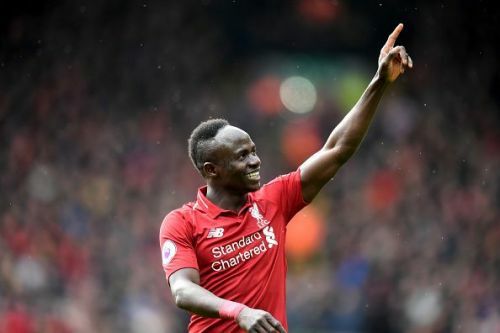 Mane currently holds the record for the fastest hat-trick in the Premier League history, scoring three goals in two minutes and 56 seconds against Aston Villa in 2015. He broke the record of former Liverpool star Robbie Fowler who held the honour previously, having put three goals past Arsenal's defence in 1994. Sadio Mane has hit a purple patch since the new year for Liverpool and has assumed the goal-scoring duties for the Reds, given the rare dry patch Mo Salah has been going through recently. Mane is now on level with Manchester City striker Sergio Aguero, in terms of goals scored in the PL in the calendar year, with both of the finishers finding the back of the net nine times apiece so far. When Mane finished from inside the box, after an exquisite one-two play with Firmino, he created Premier League history by becoming the Senegalese player with most goals in a single campaign, with his current tally of 17 goals bettering the previous record of 16 goals achieved by Demba Ba in the 2011-12 season. With 7 games still remaining in the English top flight, if Mane keeps up his red-hot form, he can genuinely challenge Aguero for the Golden Boot award, that was won by his teammate Salah, who scored a record-breaking 32 goals last season. Liverpool have gone atop the league standings above Manchester City, thanks to a late penalty by James Milner. But Pep Guardiola's men have a game in hand and can regain their spot when they visit Fulham two weeks from now.